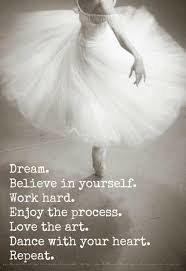 What are the dreams dancing in your heart? Have you forgotten what it is that you love? What you were passionate about? Who you are? And it’s important to remember! 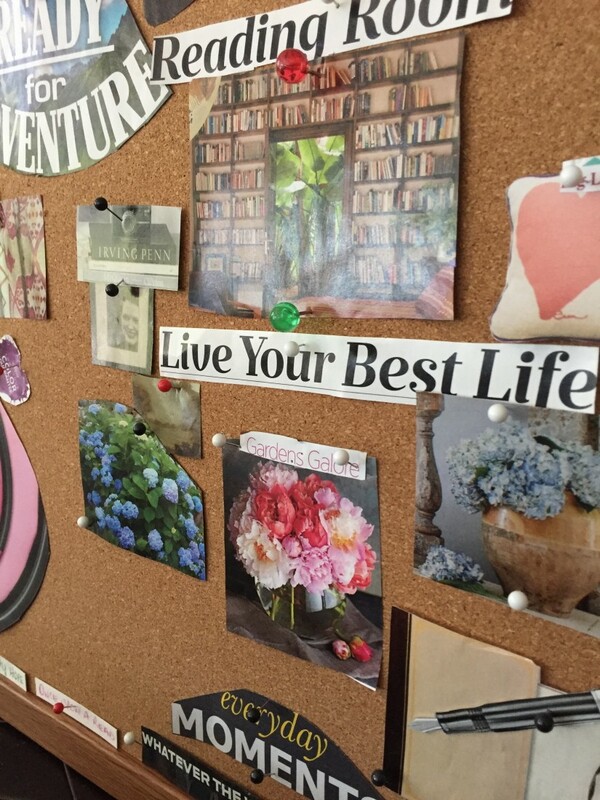 I have been encouraging some of my clients to get back in touch with this part of their hearts by creating dream boards. A few friends of mine recently did this and shared them with me, I had forgotten how powerful this exercise is! They had pictures and words that illustrated lost dreams buried in the busyness that this life brings. Images that tickled the passions deep in their soul that have laid dormant, quietly waiting to be invited to dance. Words that resonated from a deep yearning clawing to rise to the surface. It’s a powerful thing to find yourself again! To see the real you stand up and take center stage can be scary but when the spotlight blinds you to audience of onlookers, you are left alone to dance in the moment with the authentic, vulnerable, courageous you! I was blessed years ago to attend John and Stasi Eldredge’s Captivating Retreat in Colorado with an amazing group of women. The beautiful setting, the rich messages, the time in prayer was soul breathed. The day started with breakfast and then a couple of morning sessions, break for lunch and time to relax. During one of those lazy afternoon breaks we sat around the lodge having coffee and visiting. The leader of our group asked the question to us, “If you could do, see, go anywhere, what would it be?” She went around the circle, each lady sharing her dream. When she got to me I was at a loss! I really had no idea and it triggered me! My heart had lost the capacity to dream…Proverbs 13:12 reminds us that “hope deferred makes the heart sick…” There had been dreams in my heart that hadn’t been realized and over the years I quit wishing for them to come true. I stopped dreaming because it felt too painful in the waiting. I hadn’t realized this until I was asked that question in that circle. Each woman in that circle imparted a gift into to me that day, a holy, inspired word specifically spoken to them for me. It was powerful! The last one to speak shared this…”I am not sure what this means but I see you dressed in a ballerina tutu spinning.” I had no idea what that meant, I never took dancing as a little girl, I was a gymnast for awhile, but not a dancer. It made no sense to me but ok I received it knowing God would reveal in His timing, which coincidentally was just a few hours away. After that small group time we reconvened with everyone for dinner and then attended an evening session. Stasi Eldredge took the stage and began talking about DREAMING! It was bizarre, everything I had shared with the group, she spoke to. I felt like she had been standing outside the door of our room listening to my heart’s cry during our small group time. I was blown away, this session was specifically for me…it’s as if I could hear God whispering, ” I hear you, I know your disappointments, I remember the dreams that danced in your heart, I have not forgotten you.” I was overwhelmed. And if that wasn’t enough…He just showed off in this next moment. Stasi asked us to take out our journals and begin to make a “Dreams List” that included any and every dream we have or might have. Anything lofty like traveling the world or simple like growing strawberries in a pot on a back porch. Nothing was too big or too small to include. After her instructions she said, “I am going to put on some dreamy music for you to journal to.” And this beautiful music box sound filled the room. I felt so heard, so cared for! God in His detailed, intimate way showed up and showed off for me in that sweet, heart-opening moment to beckon my heart to dream again! Even the name of the song was specifically chosen for me…that day I danced with the King of Kings and He held my heart, full of dreams, in His hands and handed it back to me! So my friend, it is time to dream again! He knows the dreams dancing in your heart, He holds them close to His and He knows how and when He will make those dreams come true. Don’t let disappointment keep you from dreaming. What things do I love? What things am I innately drawn to and passionate about? What things would I like to see in my future? When and how has God shown up for me in the past? What things are on my bucket list to do in my lifetime? No dream/desire is too big! No dream/desire is too small! Let the words and images that pop out at you touch the deep, hidden, forgotten places in your heart! Let them find you again! Let them remind you! REMEMBER!! Remember who you are, what you loved, what you are passionate about! 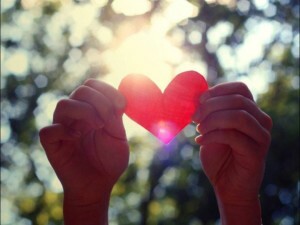 Open your heart to dream again! Dance with the King today and let Him hand you your dreamy heart back. He’s been holding on to it for you until you were ready to hold it again yourself!